Organic Sales Soar - But Is All Good Food Organic? Organic sales continue to rise — along with the number of organic farms — indicating consumer demand for high quality food and transparency. But that doesn’t mean that all good food is labeled “organic”. Last month, the Organic Trade Association (OTA) released its 2017 Organic Industry Survey at OTA’s Annual Policy Conference. The survey revealed that organic sales are soaring in the U.S., growing at a faster rate and gaining more market share than ever before. In 2016, the U.S. total for organic sales was $47 billion, up nearly $3.7 billion from 2015. Not only have organic sales totals increased, but organic food now makes up 5.3% of the market, significantly more than it ever has in the past. The increase in organic food sales specifically totaled $3.3 billion, at a growth rate of 8.4%, compared the 0.6% growth rate in the food market overall. The survey revealed a number of noticeable trends. Produce remains the most popular organic products that consumers purchase, making up about 40% of organic food sales. However, organic meat and poultry product sales grew at a high rate than ever, by about 17%. In general, the continued increase in organic sales reflects the consumer trend for demanding transparency and the willingness to pay for food that is perceived to be higher quality. Is All Good Food Organic? 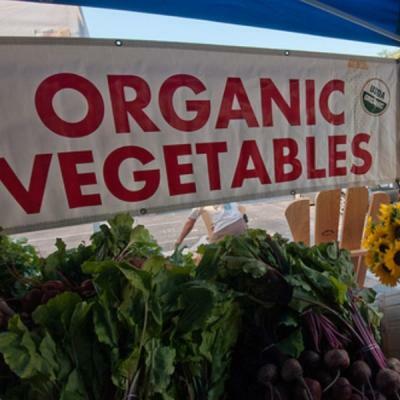 The increase in organic sales coincides with the increase in certified organic farms, despite the obstacles to going organic and reservations from some farmers. Many of these obstacles are cost-related, and despite efforts by the USDA to make the certification process easier for farmers, there is still a long way to go. Even beyond cost, plenty of sustainable farmers take issue with the organic certification. Many believe that the certification doesn’t accomplish its intended goal, representing bureaucracy and paperwork more than sustainable solutions. We talk more about these reservations in our previous article on this topic. Considering these obstacles and reservations from farmers, it’s important to note that not all good food is certified organic. Many farms that utilize more sustainable practices than the organic certification requires, such as Polyface Farm in Virginia, choose not to certify, so it’s important to not discount a farm simply because it doesn’t sport the organic label. Rather than rely exclusively on a label, the best way to find high quality, healthy, and sustainable food is to find a local farmer and visit their farm. See for yourself the practices that are used, how the food is grown and harvested, and what exactly goes on at the place your food is produced. Bottom line: a label can never truly tell the full story. 1000 Ecofarms / Online magazine / Natural Food News / Organic Sales Soar - But Is All Good Food Organic?